BRIERCLIFFE MAN DIES A PRISONER. The parents of Pte. Hartley Leaver residing at Robin Houses, Briercliffe, have received word, through the agency of the Regimental Comforts-Committee, Manchester, that their son has died in Germany. Pte. Leaver, who was 24 years of age and single, enlisted on August 20th, 1916, and after training for about five months at Colchester, was drafted out, and had been out for 17 months without a leave. He was with the Manchester’s and was taken prisoner on March 21st last having both legs broken, one being badly fractured. For some time he was at Limberg, but he died on July 25 at Quedlinberg, and was buried at the cemetery there on July 28. Previous to enlisting he was employed as a weaver by the Harle Syke Mill Co., Ltd. He attended the Hill-lane Baptist Sunday School, where his name is on the roll of honour. There is an older brother, Pte. 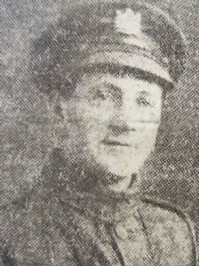 Maurice Leaver serving in France.